YES! Great fun. 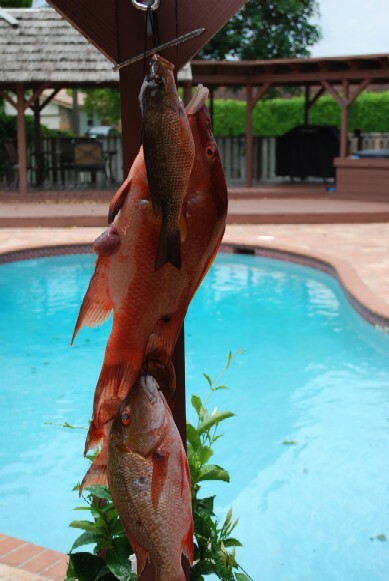 I went out on the fourth of July, paddled out to the second reef off of fort Lauderdale,30-40feet deep, shot 6 Hog fish. All 16 inches or better. I do not usually take that many but I need them for a party that night. I bounced 1 Mutton. When I say bounced I mean that it hit and bounced off because the line came taught. Obviously it was a very long shot and I was pleased that the gun performed so well. After that I had a few large mangrove snappers taken by sharks. I set the gun up with 2 bands and no reel for now. Believe it or not I enjoy it so much that when I cannot go out I will set up a target in the pool to get used to the gun. With three bands I see there is quite a kick. The mussel is pushed down, so I am learning how to compensate for this on long shots. I think that I understand why some guys use the fins on the front. I could not be more pleased with this gun. It is the perfect gun for what I do now and I am sure it will transfer well to deeper dives, bigger fish and blue water. The Photo is from the next day. I did ok that day too. PS: the paint job is awesome. Anyone that sees it is blown away.